An adorable puppy will be returned to his rightful owner after a WestJet mix-up sent him to the wrong Canadian city. 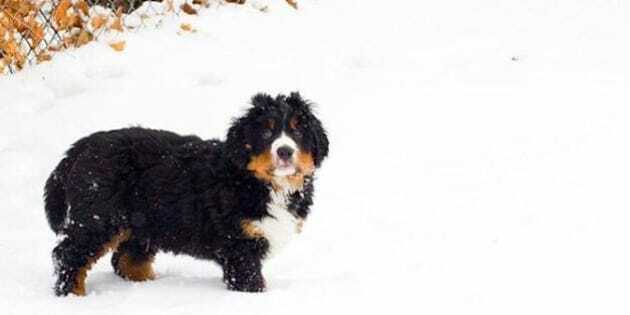 Levon, an eight-week-old Bernese Mountain Dog, was being flown from an Ontario breeder to his new owners in Winnipeg aboard a WestJet flight. But instead of taking the dog off the flight in Winnipeg Wednesday, the dog was left in the cargo hold and continued on the flight to Calgary. Breeder Jennifer Lennon, of Haustier Bernese Mountain Dogs, told Global News there was a moment of panic when the new owner arrived at the Winnipeg airport to meet his dog, only to be told the dog had already been picked up. "I thought, ‘How could this happen?’" she said. "It’s Winnipeg, who would steal a dog here?" When the dog was finally located in Calgary, Lennon asked a friend to pick up the puppy and care for him, until he could be sent on another flight to Winnipeg, reports CTV News. Levon was put on a flight to Winnipeg Thursday morning.